Native Navigation using React Native Navigation Example is today’s leading topic. 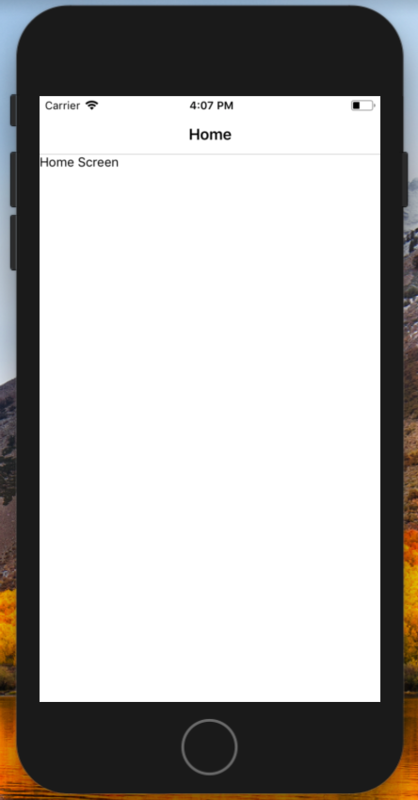 For this tutorial, we use the library called React Native Navigation. You can find the documentation here. We have already seen the Navigation in React Native using React Navigation library in our previous tutorials, but now we are using React Native Navigation library, not React Navigation library. So let us start our example by installing React Native. 3 #2: Configure Navigation inside an iOS project. 4 #3: Create a single Screen. We start this tutorial by installing React Native using React Native CLI. If you have not installed React Native CLI, then you can install it using the following command. Now, create the project using the following command. To open the project inside iOS Simulator, type the following command. Now, install the Navigation library using the following command. #2: Configure Navigation inside an iOS project. Okay, now we need to configure the React Native Navigation for our project. So open the rncreate >> ios folder inside XCode because now we need to add some files. You need to follow the below instructions. In Xcode, you will need to edit this file: AppDelegate.m. Replace @"index.ios" with @"index" if you are using index.js as your entry point instead of index.ios.js and index.android.js (it is the default since React Native 0.49). So, now if you have followed the above steps, you can run the project inside simulator successfully. #3: Create a single Screen. Create one folder inside root called screens and inside that, create one file called Home.js and add the following code inside it. Now, we already have an index.js file, but it won’t be needed anymore. So instead of that file, create one new file inside root called index.ios.js and add the following code. Write the following one line of code. And now, write the following code inside App.js file. Save the file and go to the iOS Simulator. If changes are not refected then you need to restart the server. So, now single-screen navigation is complete for iOS development. In the further tutorial, we see how we can navigate to the different screens using Tab navigator. Did you had a chance to integrate Tab navigator?